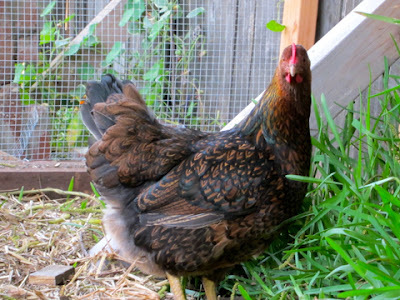 Back in 2018 UC Davis began a study of heavy metal contamination of eggs from backyard chicken flocks. The study analyzed eggs from 344 California residences using Coupled Plasma Mass Spectrometry to look for arsenic, cadmium, copper, lead, mercury and and nickel. The overall results for the study show that the main metal to worry about is lead, though some of the samples showed elevated levels of mercury and cadmium that could be a concern. The maximum lead level found was 27.97 ug/egg which is well over the maximum recommended exposure level of 3 ug for children and 12.5 ug for adults. That said, the average was 1.39 ug of lead. I was eager to participate in this study since we found elevated lead levels in our soil when we did a series of soil tests back in 2011. Thankfully our egg results came in at 1.02 ug, just under the average level in the study. You’d have to eat a lot of eggs as an adult to go beyond the Federal Drug Administration’s maximum recommended lead intake level, though you could bump up against it if a child ate more than three eggs a day. I’d suggest that if you live in an older urban location, next to a gas station or other industrial site or a recently burned area you may want to get your eggs tested. Odds are that your backyard eggs are safe to eat but, as the study showed, some of the lead results were well over safe levels. Once potentially contaminated areas are identified, it is your job to prevent your chickens from coming in contact with those areas! You may choose to completely remove access to these areas or add clean cover material (soil, mulch, etc.) to reduce contact with or ingestion of contaminated soil. If you choose to use cover material, remember to inspect the cover regularly and add/maintain material as needed. To further prevent ingestion of contaminated soil, provide chickens’ regular feed in feeders, and avoid scattering feed, including scratch grains and food scraps, on bare ground. Also, avoid feeding chickens unwashed garden scraps from these areas. Consider providing a calcium supplement, which may help to reduce the amount of lead that gets into chickens’ eggs. While we got a free test out of the study (thank you UC Davis! ), you can have your eggs tested for a fee by contacting the California Animal Health and Food Safety (CAHFS) laboratory (phone: 530-752-8700). It is highly unlikely that urban agriculture will increase incidences of elevated blood Pb for children in urban areas. This is due to the high likelihood that agriculture will improve soils in urban areas, resulting in reduced bioavailability of soil Pb and reduced fugitive dust. Plant uptake of Pb is also typically very low. The exceptions are low-growing leafy crops where soil-splash particle contamination is more likely and expaneded hypocotyl root vegetalbes (e.g. carrot). However even with higher bioaccumulation factors, it is not clear that the Pb in root vegetables or any other crop will be absorbed after eating. Wash fruits and vegetables from your garden. Also wash your hands and don’t wear shoes in the house. Compost, compost, compost! Compost dilutes the overall amount of lead in soil and encourages healthy plant growth which also dilutes the (usually small) amount of lead a plant will uptake. Apply compost annually since it breaks down over time. Plant away from painted surfaces of old (lead paint era) buildings. Don’t eat a lot of carrots, radishes, redbeets or turnips grown in contaminated soil. The edible portion of these plants consist of xylem tissue that traps lead (potatoes are OK since they are phloem fed). That said, you’d have to eat a lot of contaminated root vegetables to elevate lead levels in your blood. 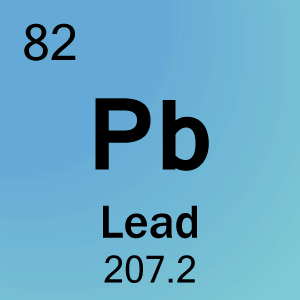 Adding phosphorus fertilizers will decrease the bioavailability of lead. In general root vegetables uptake the most lead, leafy greens less and fruit almost none. The most conservative approach is to grow in raised beds. The main concern is for children under 5 years old. If your soil tests high in lead and you have young ones you should consider doing your edible gardening in raised beds and limit their exposure to garden soils to a few times a month. Mulch and ground covers will also decrease lead exposure in the other parts of your yard. Is Lead Poisoning a Risk in Urban Gardens? Those of you who have followed our blog over the years know that our yard is contaminated with lead. This is, most likely, due to some combination of lead paint residue and car exhaust. For years we’ve grown vegetables in raised beds because of this issue. But if the results of a University of Washington study on lead and urban agriculture are to be believed, we might not need to be as concerned. The researchers note that most vegetables don’t take up lead and that improving soil with compost greatly reduces the bioavailability of lead. You can read a summary of the results of this research paper here. Thanks to Joanne Poyourow of Environmental Change Makers for tipping me off to this research. Us city slickers have fouled the sandboxes we play in. Find an open field in a big city like Los Angeles or New York and the odds are that it’s a former toxic waste dump. 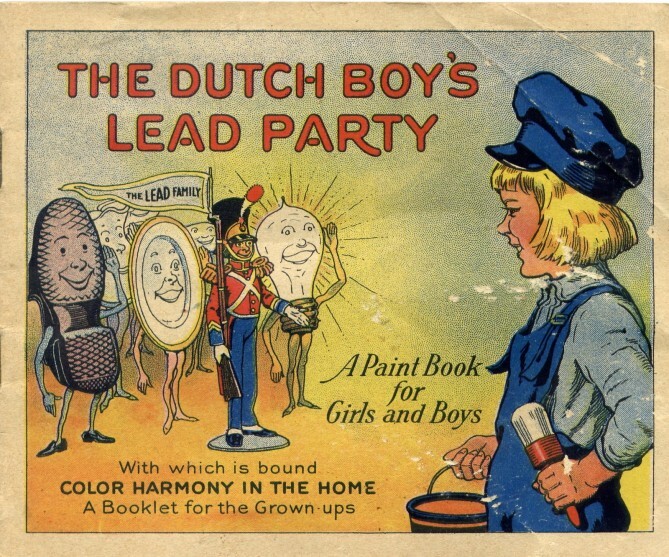 Here in our neighborhood we’ve got a lot of lead and zinc–lead from paint and gasoline and zinc from brake linings. These heavy metals don’t magically go away. They are elements, and short of an alchemical transformation you have to physically remove them, cover them up, or apply phosphate so that plants don’t take them up as readily. One promising strategy is phytoremediation, the use of plants to uptake heavy metals. City Atlas youarethecity, in New York, is experimenting with Indian mustard, mugwort, basket willow and sunflowers to remediate a contaminated garden. The results are promising with some metals down 50% in a year. Mugwort (Artimesia vulgaris) did an especially good job with a wide range of contaminants. I should note that Garm Wallace, who runs Wallace Labs, a soil testing service, says that phytoremediation can take many years to get heavy metals down to a safe level. That being said, breeding plants specifically for heavy metal hyperaccumulation is a technology that could make up for our past transgressions. Thanks to Michael Tortorello for the tip. From the One More Thing To Worry About department, the New York Times has an article on lead levels in eggs laid by urban chickens “Worries About Lead for New York City’s Garden-Fresh Eggs.” According to the article, the lead levels found in New York City’s home grown eggs ranged from none to over a 100 parts per billion. Since the FDA does not have an acceptable lead level in eggs it’s difficult to interpret the results. And I have to wonder what unknown problems lurk in industrial eggs. It’s a reminder that those of us who live in older cities and grow food need to confront the lead problem. Personally, I’d also like to see the Real Estate industry come clean on this issue beyond boiler plate disclosures buried in sales documents. But I’m not holding my breath.